I read this article and found it very interesting, thought it might be something for you. 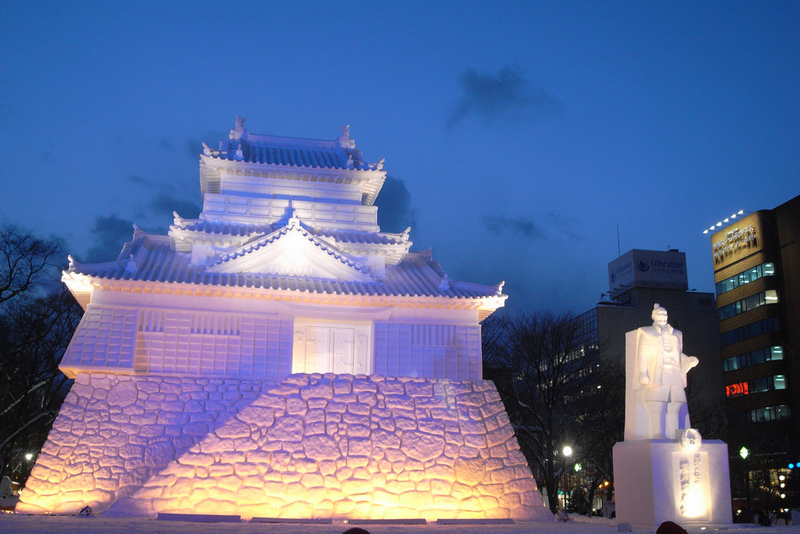 The article is called 15 Things to Do in Asahikawa and is located at http://trip-n-travel.com/listicle/16192/. 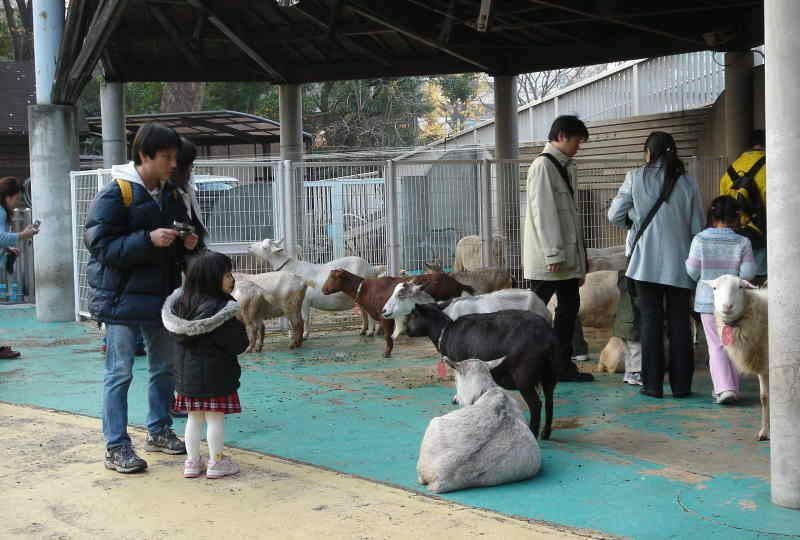 Ashiyama Zoo is quite a popular zoological garden present just outside central Asahikawa. The main reason for its popularity is the enclosure built around it which allows visitors to look at the animals from various angles. It is like a mini zoo equipped with different kind of animals, including polar bears, tigers, and penguins. 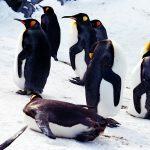 If you don’t have enough time, you should just go and visit the penguin house. 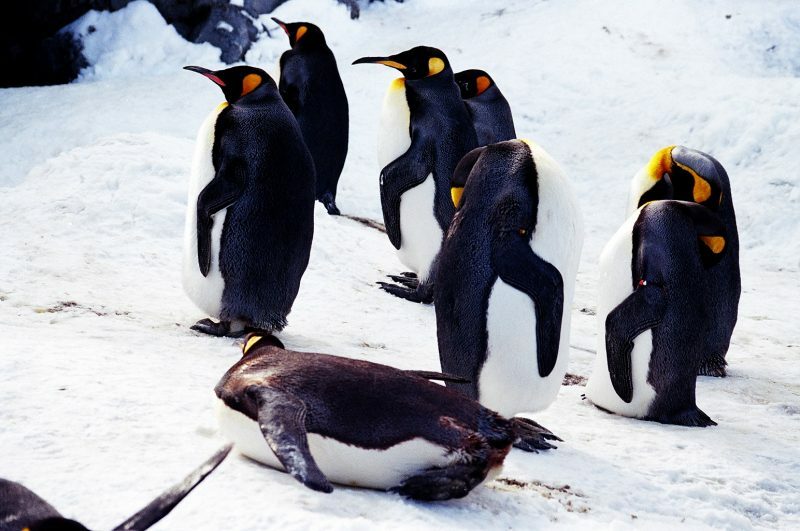 There is a gallery present for viewing the penguins underwater. However, pictures aren’t allowed in the zoo. Opening hour: 9:30 a.m. to 5:15 p.m. The Ueno farm is an English-style garden which has been modified to match the climate and the soil of Asahikawa. There are a large variety of plants and animals on the farm which is quite pleasing to the eye. The entrance fee of the garden is 800 yen but the whole beauty of the place will make you think that the entrance fee is certainly worth it. You can also view Daisetsuzan National park after a small walk up the hill. There are all sorts of cafes nearby too. So, you should visit this place. How many museums have you visited that are truly dedicated to the snow? 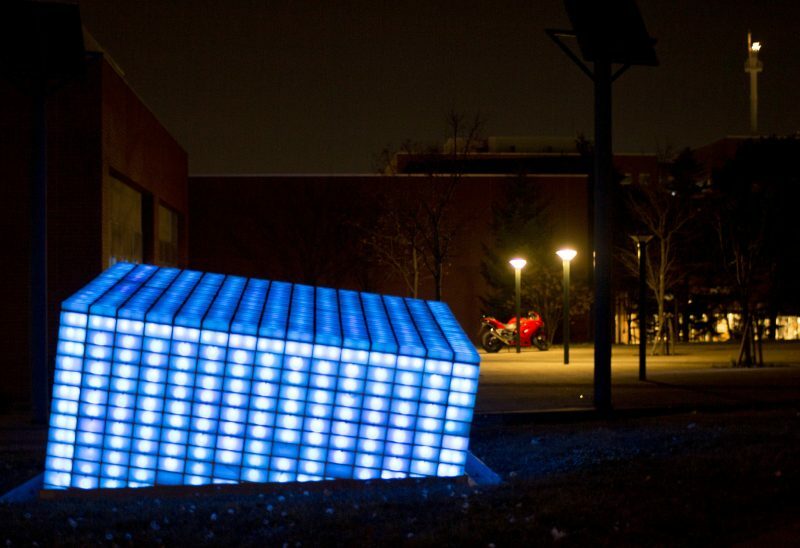 Well, the snow crystal museum located in Asahikawa is quite dedicated to snowflakes. The museum is a reminder of a European castle and belongs to Hokkaido folk arts and Craft Village. The museum is a great fun visit for women and children as there are special coats for under zero degree temperature. It’s definitely a nice place for a short visit if you are in town. So you should visit it. Opening hour: 10:00 a.m. to 4:00 p.m. 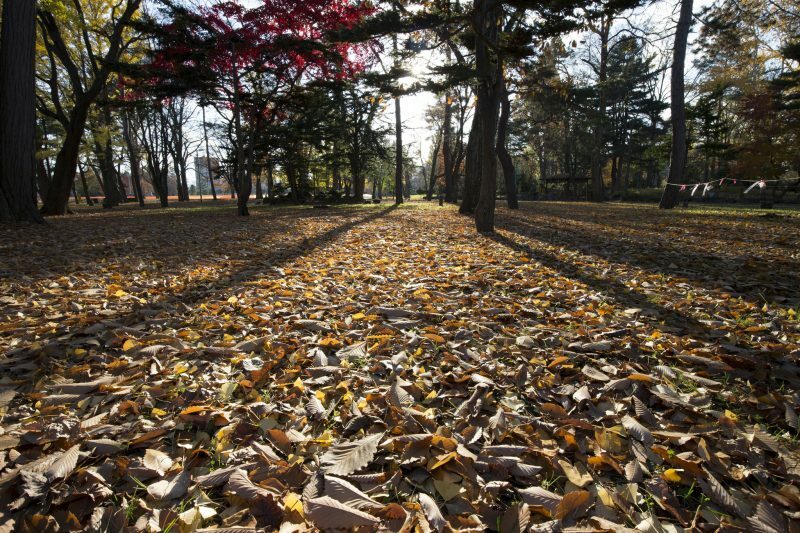 The Tokiwa park in Asahikawa consists of a big plaza with two ponds, Chidori Pond, and Hackucho and makes it quite a peaceful spot in the middle of the city. 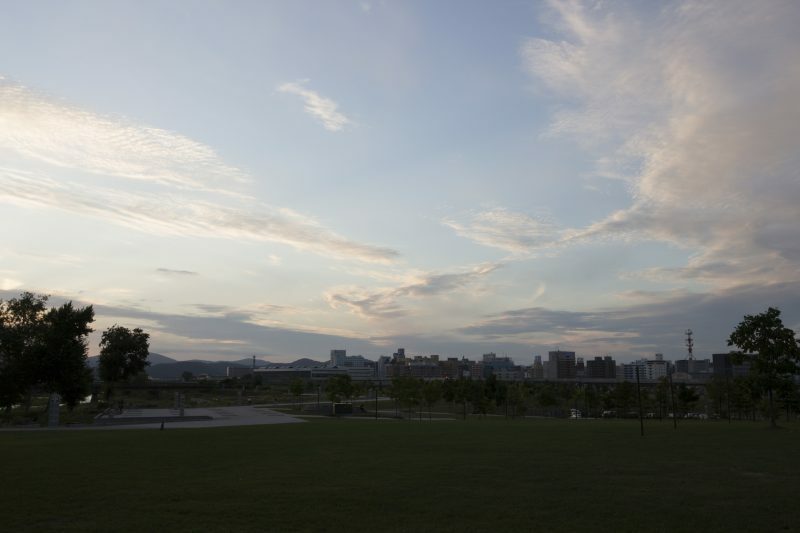 There are many facilities around the park, like Asahikawa State Art Gallery and park. Many city-wide events are also held at this place. A park is a good place for a walk. There is also a pond where you can rent a boat and enjoy the weather. 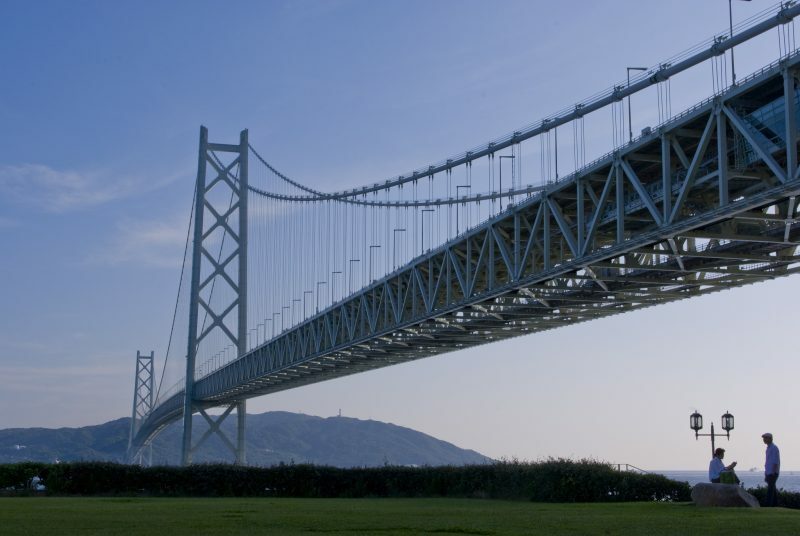 You should definitely visit the Akashi Kaikyo Suspension bridge on your visit to Asahikawa because it is the largest suspension bridge and probably Japan’s greatest engineering feat. It took about 10 million workers and 10 years to construct the bridge. Some people consider it an amazing work of art and some use it just for traveling. Whatever the purpose, you should view this bridge. Opening hour: 9:15 a.m. to 4:30 p.m.
Kamikawa Shrine is quite a beautiful shrine located in Kaguraoka park and overlooks the city of Asahikawa. Many festivals are held at this place throughout the year, which makes it a good spot visited frequently by tourists. After you enter the shrine, the monks would give a brief explanation of the history of the shrine. The surrounding place and the shrine are quite beautiful. So you should visit it. 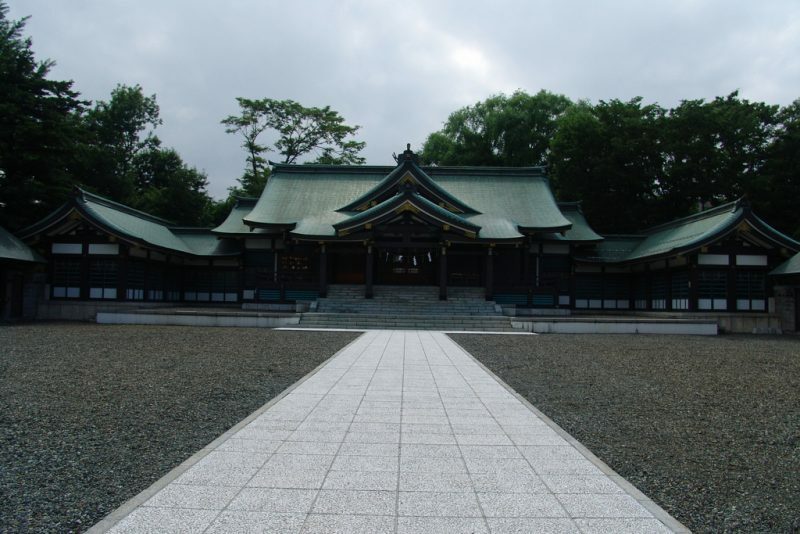 Gokoku shrine is another worth visiting site located at the end of Nakajima Park. 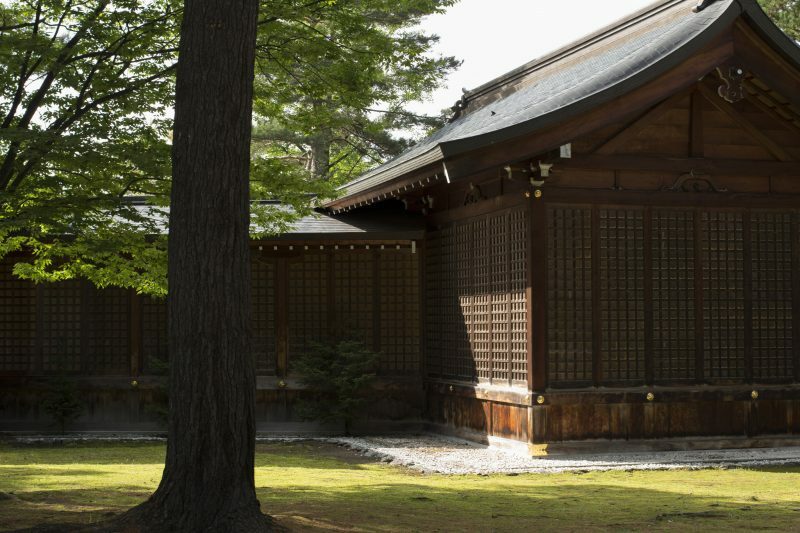 It is close to the city’s center and an easy walk and a convenient place to get a taste of Shinto culture. This shrine has almost 60,000 pillars which are quite hard to believe. Memorial service is held here every year in June. You can freely walk in the shrine and talk to the monks and get some enlightenment. The Kitasaito garden in Asahikawa located close to the south end of the Asahikawa station. The benches there are quite lined up. So you should spend much time there even in cold weather. 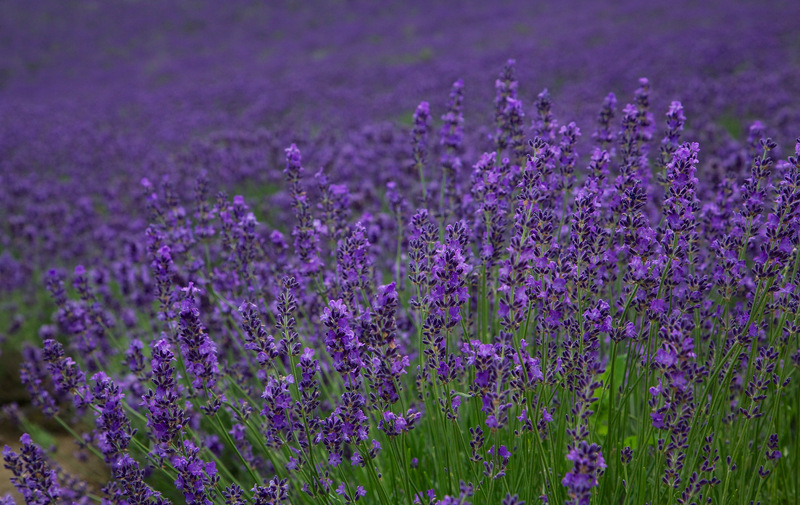 You should visit the garden in the spring season during the months of April and May. There are colorful flowers and daffodils everywhere and you won’t get tired even after long walks. So you should visit this place. If you are planning to eat some sushi, choose Toriton Kyokushin because no restaurant serves better sushi in Asahikawa. The quality of fish and rice is very good and their ratio is perfect. The price is quite cheap, considering the food quality. The staff is also quite friendly and nice. There is appropriate parking place too. So if you are visiting Tulip park, you should definitely dine at this place. Opening hour: 11:00 a.m. to 10:00 p.m.
Kamuikotan is a beautiful village in Asahikawa. In the Ainu language, Kamuikotan means “Village of God”. There are cherry trees during the fall and the seasonal changes tell you the beauty of Ishikari River. Over the stretch of a river, there is a group of 7 oana, which are the large holes formed when small depressants are formed in the rock. The Village itself is quite beautiful and you can enjoy long walks in the village and the riverside. If you are in Asahikawa, you shouldn’t miss eating at Santoka. The place has some of the best ramen around and there is are so many different types of ramen, it’s like a small ramen village. However, the ramen portion is a bit smaller than other Ramen shops. But still, the taste of the ramen is quite good. The place is crowded with tourists, so, you would have to wait a bit for your turn. The Asahikawa city museum, built way back in 1968, is truly spectacular. There are two permanent exhibitions in the museum. The upper floor has a variety of recreated houses from the Ainu people. Each house recreates the situation how the inhabitants lived and went on with their daily lives. The museum is quite well-maintained and cleaned. You can easily understand the geography of the place. The entry fee is just 300 yen. So you should visit this museum. 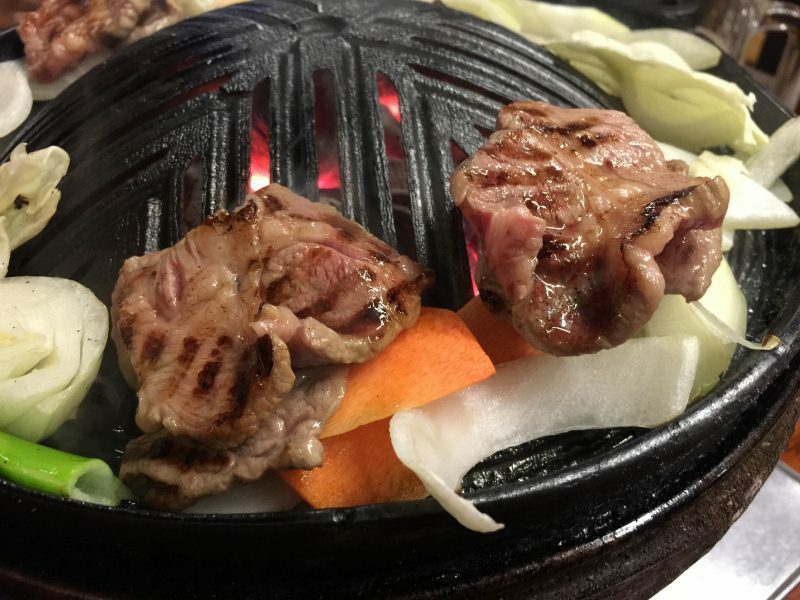 If you have eaten lamb steaks at other places and weren’t quite impressed, why not try out the Genghis Khan Daikokuya. As you enter the restaurant, you would feel a little bit smokey, like scenes from an old movie. You can order a variety of dishes of lamb, like lamb slices, lamb racks, and lamb herb all of which are quite tasty. The staff is also quite friendly and courteous. However, you would have to wait a bit outside the restaurant as the place gets too crowded at times. Opening hour: 11:00 a.m. to 11:00 p.m.
You shouldn’t miss the rice paddy art once you are in Asahikawa. This art originated from Japan where people use different colors to create giant pictures on rice fields. You can visit the Tambo art in Asahikawa. This paddy field is close to the gas station and there is a walking platform to view the paddy fields from the top. It is quite interesting and seasonal. The paddy field is a bit difficult to find. However, you should get directions from the locals. This restaurant has a lot of customers, despite being located at the city’s center. The reason for this is simple. Its flavors are downright fantastic. The soup is quite tasty as the garlic is added to the sake and added into the soup. You can also use soy sauce and vegetable varieties. You can also get special children ramen. This restaurant welcomes tourists and locals alike. So you should visit it. Opening hour: 11:00 a.m. to 3:00 p.m.
Now you know the top things to do in Asahikawa. Considering it is such a big city, it’s no wonder that there are lots of restaurants and museums here. But the thing which makes this city so unique is that you can’t find certain things in Asahikawa, like snow museum and Tambo art, anywhere else. 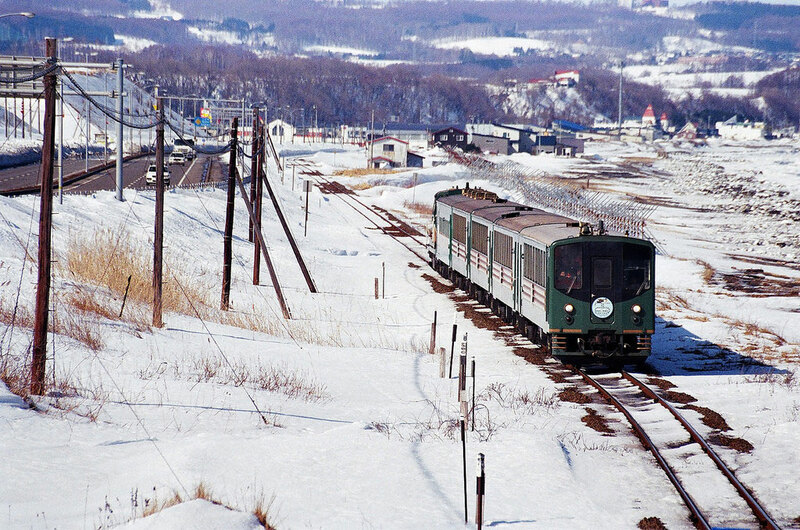 So you should plan your next trip to Asahikawa.